Probate is the legal process that is generally required to follow the death of an individual. The goals of probate are varied, including the identification and location of the decedent’s estate assets, providing creditors with an opportunity to file claims against the estate, and ensuring the state and federal gift and estate taxes are paid before assets are distributed to beneficiaries and/or heirs of the estate. If the decedent executed a Last Will and Testament prior to his or her death, he individual named as the Executor in the Will is responsible for overseeing the probate of the estate. If the decedent died without a Will, or “intestate,” any qualified adult may volunteer to be the Personal representative of the estate, thereby becoming responsible for overseeing the probate of the estate. If you recently lost a loved one, and were appointed the Executor of the estate or volunteered to be the Personal Representative, you may be unsure where to start and what steps to take to fulfill your role in the probate process. With this in mind, the probate attorneys at The Law Offices of Kobrick & Moccia have prepared a “Probate Checklist” to help you navigate the often complex world of probate. We would also like to encourage you to contact our office with specific questions or concerns regarding your duties and responsibilities throughout the probate of the estate. Locate an original copy of the decedent’s Last Will and Testament. If you do not have a copy yourself, check with the decedent’s spouse, children, and/or estate planning attorney. Confirm that you are named as the Executor in the Will. Petition the court to be appointed the Personal Representative if the estate is an intestate estate. Look for additional estate planning documents. Specifically, look for a list of estate assets. Obtain several certified copies of the decedent’s death certificate. This can be done through the New York State Department of Health. Make a list of all known estate assets and debts. Locate and secure all assets. This may require things such as closing accounts or locking up real property. Divide assets into “probate” and “non-probate” assets. Non-probate assets are not required to go through the probate process. Non-probate assets may include things such as assets held in a trust, certain types of jointly held property, and insurance proceeds. Determine if the estate requires formal probate. Small estates may qualify for an alternative to formal probate. Determine who the decedent’s legal heirs are. Consider retaining the services of an experienced New York estate planning attorney to assist you during the probate process. Submit the Will, along with a petition to open probate, to the appropriate Surrogate Court. Generally, probate occurs in the county where the decedent was a resident at the time of death. Obtain a date of death value for all estate assets. This may require the assistance of professional appraisers. Notify creditors. Known creditors may be notified individually; however, unknown creditors must be notified via publication in a local newspaper. Review all claims filed against the estate and approve or deny each claim. Pay approved claims out of estate assets. If sufficient liquid assets do not exist, you will need to sell assets to raise the necessary funds to pay claims. If sufficient assets do not exist to pay all claims, claims are paid according to priority as established by law. Submit a closing inventory to the court if required to do so. Prepare the legal documents necessary to facilitate the transfer of the remaining estate assets to the intended beneficiaries and/or heir of the estate. 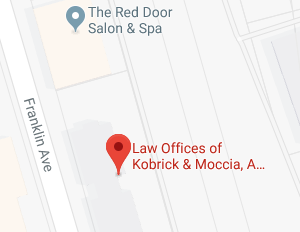 If you have additional questions or concerns regarding the probate of an estate in Long Island, contact the experienced Long Island estate planning attorneys at The Law Offices of Kobrick & Moccia by calling 800-295-1917 to schedule your appointment.